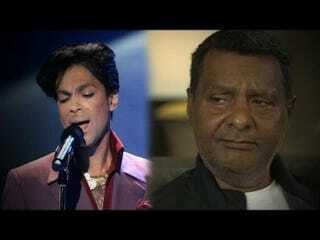 Although Prince's half brother Alfred Jackson hadn't seen or spoken to him for 15 years before his death, he's now speaking out about the music icon. In an interview with ET, Alfred Jackson, who has the same mother as Prince, says his brother was a genius. "I miss my brother because my brother was everything in the world to me," Jackson said. "God bless Prince, God bless the world. He's a legend, he really is." So why hadn't the brothers been in touch for 15 years? Well, according to Jackson, it was because of Prince's busy schedule. "He was so busy on the road because he had so many engagements with his music," Jackson says. "So he had to travel, all around the world. I always saw him on television, read the magazines and said, 'There's my brother Prince.' I was so happy he was making it for himself, I really was." Something tells me there's a little more to that story. Because Prince didn't leave a will, Jackson is now entitled to a piece of his fortune. And his attorney spoke about the trust and how the family is dealing with the estate. "We are about to head into a meeting with all the beneficiaries and the heirs—that very subject will be discussed shortly … how everything will be played out … how the heirs will be treated," attorney Frank Wheaton said. Prince's estate could be split among siblings Jackson, Tyka Nelson, John Nelson, Norrine Nelson, Sharon Nelson and Omarr Baker, according to Minnesota law, ET reports.